As someone who loves to fish and be on the water, growing up in Northwestern Ontario was great because there was never a shortage of top-notch fishing opportunities outside my door – I grew up with a fishing rod in my hand throughout all seasons. Jeff Gustafson shows off a nice Falcon Lake smallmouth. My passion for bass fishing and competing in tournaments first brought me to the Whiteshell region back in the early 2000’s to participate in the annual opening day bass tournament on Falcon Lake, an event that has been put on by the Manitoba Bass Anglers Association for many years. Since the tournament always took place on the opening day of the fishing season, we were never able to pre-fish (or practice) for the event. We just showed up the day of the tournament and went fishing. After several years we learned the lake a little bit better and our catches went up significantly. Eventually my friends and I started making day trips over to Falcon Lake so that we could catch a bunch of fish. It’s funny because as many people as there are that use Falcon Lake, very few of them take advantage of the great smallmouth bass fishing available there. 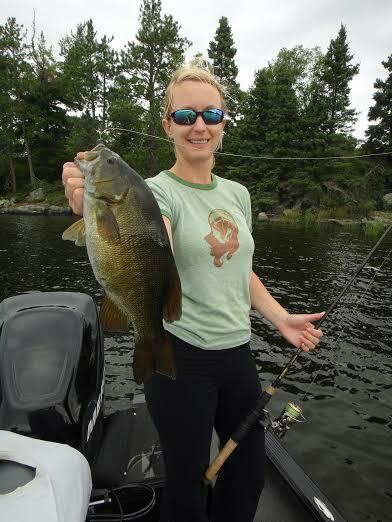 The author’s wife with a new West Hawk Lake smallmouth. My experience there has always been earlier in the season, in May and June and our expectations when we go there now is that we’re going to catch big numbers of fish. I’m not sure if I’ve ever caught 100 bass in a day there, but 50 plus fish, including some really nice ones, is quite common. 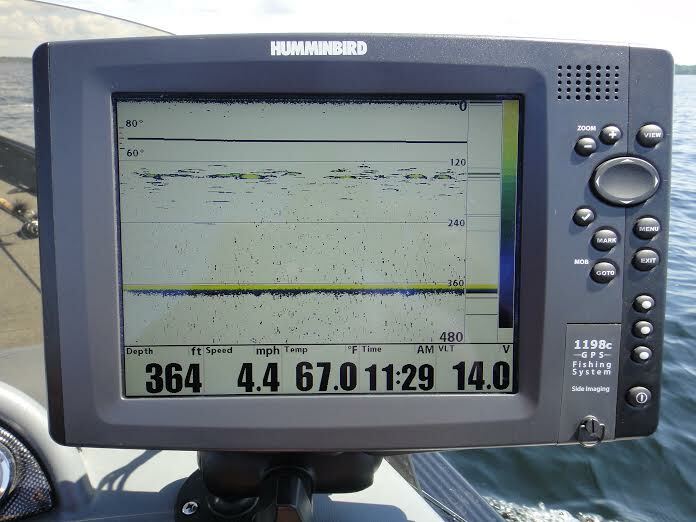 Factor in the shot at a monster pike or walleye and you have a great place to fish. As far as location goes, it’s all about finding structure around the lake. From a boat it does not look like Falcon Lake has a lot of structure because it is so open and exposed, but when you turn on your depth finder and watch it as you troll the shoreline it quickly becomes apparent how many little bumps and humps there are around the lake, all prime bass habitat. Baitfish make up the bulk of the diet for all sport fish in Falcon Lake, species like shiners, perch and cisco in particular so anglers should use minnow imitating lures in their pursuit of all species. Over the years I caught hundreds of bass on three and four inch suspending jerkbaits. Simply cast them out and work them back to the boat in a jerk-jerk-pause cadence. Some days the fish like a longer pause, some days shorter is better. Let the fish tell you what they want. Across Highway 1 to the north is another gem of a lake in the Whiteshell Provincial Park. West Hawk Lake may very well be the deepest lake that I have ever been on in my life. It’s deep, cold, clear water is not the best bass habitat but the many shallow bays that surround the main basin of the lake provide plenty of good water for bass to live. Much like Falcon, local anglers are much more interested in the walleye and lake trout that live on the lake than they are in the bass population. A quick screen shot shows how deep the water is in the middle of West Hawk Lake. Those are lake trout, shown suspended on the screen. The secret to finding bass on West Hawk is to find stretches of shoreline in these bays that have a sand or boulder bottom composition. These are going to be shallower stretches of water that much of the smallmouth bass’s forage prefer. Much like Falcon, many types of baitfish are prevalent in West Hawk so minnow imitating baits are best. For anglers looking to visit the Whiteshell Park, I assure you that you won’t be disappointed with the beauty in the scenery or the fishing opportunities that await. Fishing licenses can be purchased at the gas station in the heart of the town of West Hawk, one of prettiest little communities you will ever visit during the summer months. Out of province anglers should know that Manitoba has a province wide barbless hook rule in effect, so if you visit these lakes, remember to pinch your barbs. 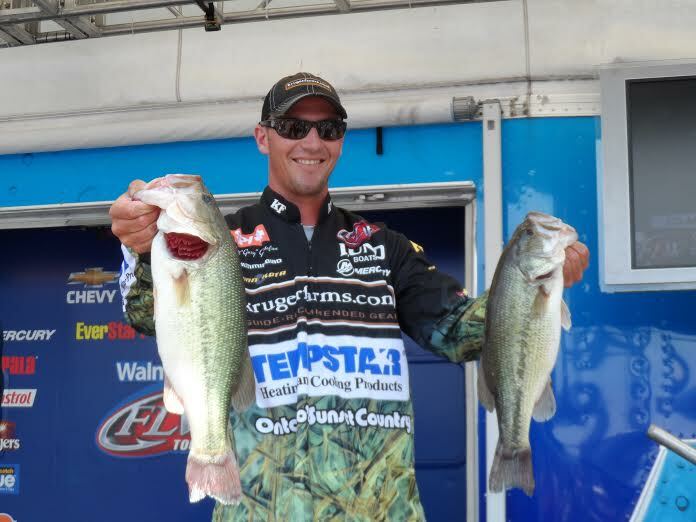 Jeff Gustafson on-stage at a 2013 FLW Tour bass tournament. This entry was tagged Angling, Falcon Lake, fishing, Fishing With Gussy, Gussy Outdoors, Jeff Gustafson, Smallmouth bass, West Hawk Lake, whiteshell provincial park. Bookmark the permalink. Pingback: Fishing in Canada | Hunting-and-fishing!